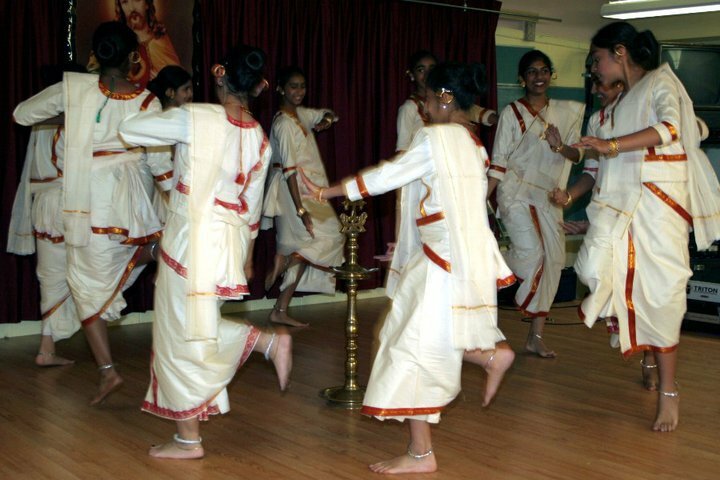 Margam Kali is one of the traditional group dances of Kerala practiced by Syrian Christians. 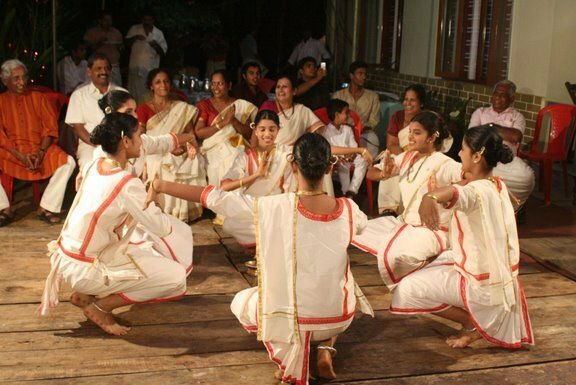 The dancers wear the traditional Kerala Christian dress (white dhoti and blouse) while singing, dancing and rhythmically clapping around a lighted lamp. The dance form dates back to the 16th century during the Portuguese era, telling the story of the arrival of St. Thomas to the Malabar coast.The name “margam” refers to the path toward salvation. Although originally only men performed the Margam Kali, now both men and women participate.